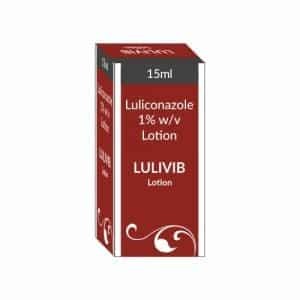 Luliconazole is a topical antifungal agent that acts by unknown mechanisms but is postulated to involve altering the synthesis of fungi cell membranes. It was approved by the FDA (USA) in November 2013 and is marketed under the brand name Luzu. Luliconazole is also approved in Japan. In clinical trials, no serious toxicity was reported, only local irritation (mild contact dermatitis and cellulitis) at the site of application was found. 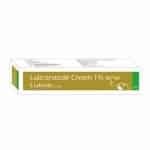 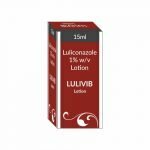 Luliconazole is indicated in adults aged 18 years and older for the topical treatment of fungal infections caused by Trichophyton rubrum and Epidermophyton floccosum, specifically tinea pedis, cruris, and corporis.